Inigo Montoya is one of the main characters in the movie The Princess Bride. He is a Wizard Swordsman (a rank above master) who spent his younger years training and learning under the greatest masters of fencing. He did this to challenge Count Rugen to a swordfight and kill him to avenge his father’s death. Before getting the chance to avenge his father, certain events led to Inigo encountering Westley and battling him in a duel. He lost to the Dread Pirate Roberts, but his life was spared due to his skills with the sword. Inigo, though, ended up helping the Dread Pirate Roberts as the movie progresses. Helping Westley defeat Prince Humperdinck also allowed Inigo to face Count Ruben and kill him finally. Though Inigo is not the protagonist, a lot of people consider him the most crucial character in the movie. 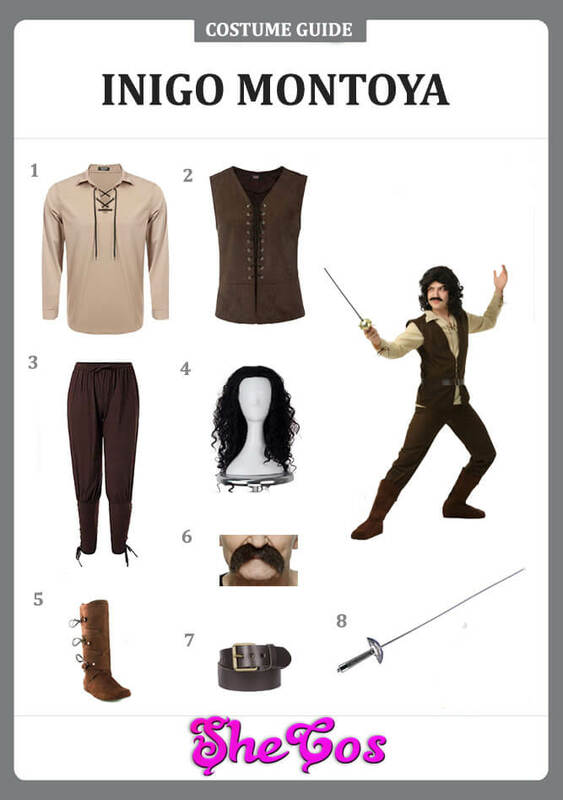 This article is an Inigo Montoya costume guide. Inigo Montoya is one of the main supporting characters in the romantic adventure comedy movie, The Princess Bride. Though he is only a supporting character, he still played an essential role throughout the film. He is also the favorite of the people who have seen the movie. It makes him one of the primary options for people looking to cosplay The Princess Bride characters. 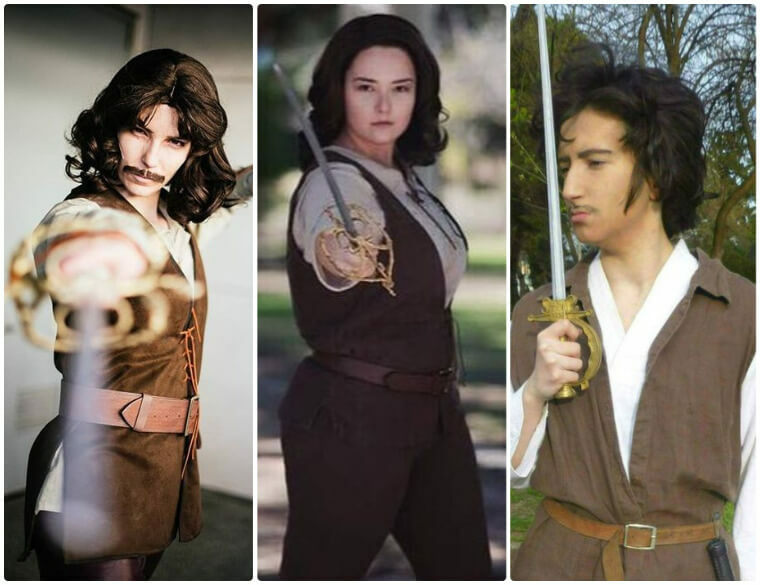 For this Inigo Montoya cosplay guide, we’ll feature his usual outfit. 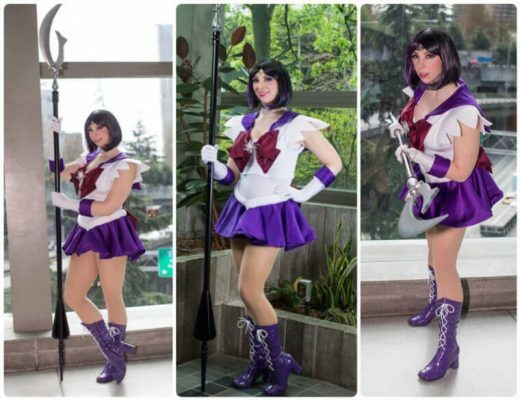 The cosplay set consists of a dirty white collared long sleeve tunic for the top and dark brown pants. The costume also includes a dark brown vest, a black leather belt, and brown boots. A black medium-length curly hair and fake mustache are also included to complete Inigo’s look. For the accessory, the set also comes with a plastic fencing foil prop for the sword that Inigo uses. Inigo was the son of Doming, a great swords maker that the Count commissioned to make him a special sword to allow his six-finger hand to grip it properly. When he refused to pay, Domingo gave the sword to Inigo, so Ruben stabbed the swords maker. Inigo challenged Ruben only to be trounced and was given two scars on the face instead of being killed. Inigo’s sad story and his role in helping Westley made people like the character more than even the protagonist. His skills as a swordsman also contributed to his coolness. Not to mention his curly locks and mustache give him the look of a ladies man. If you look at the cosplay photos of people dressing up as Inigo, you can see that they made a good choice. The character looks good and he even looks more like a pirate than Westley.